The owners of a beautiful home in the Summit Avenue neighborhood in St. Paul, MN. 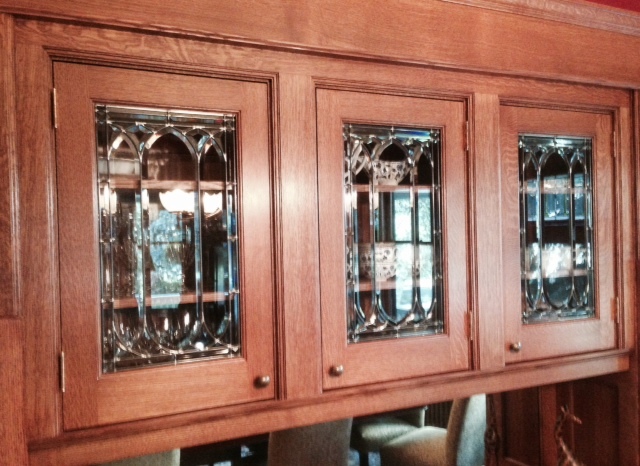 brought me in to design leaded glass panels for a serving buffet that was being restored to it’s former glory. 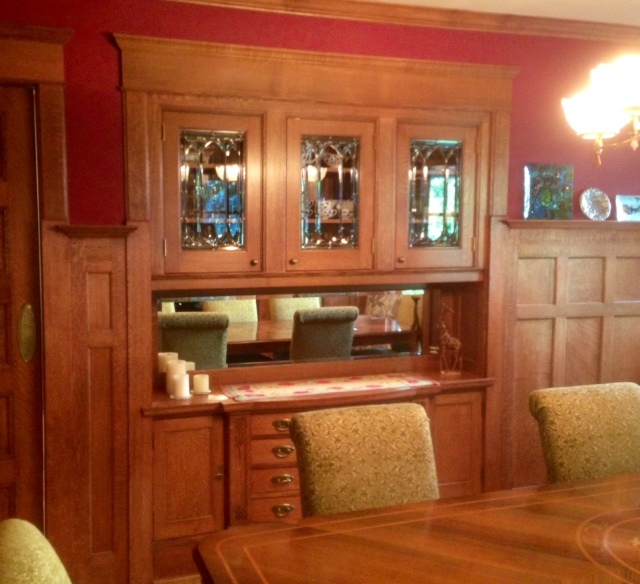 A previous owner removed the original upper portion of the buffet to open up the kitchen to the dining room which was out-of-place to the original design intent of this house built-in the early 1900’s. After touring the house and looking at other leaded glass panels and other architectural details I drew up several options for a design that was fitting to the period of the house. A gothic arch design was chosen that repeated an element from another window in the entry of the home. The panel was constructed using all custom hand beveled glass by Minneapolis artist Tom Huisman that beautifully catches the light. The finished glass panels fit in very nicely with the character of the home. Hi Arlene, Good to here from you, thanks for your comment!